Pages: 230 x 150 mm; 165 pp. 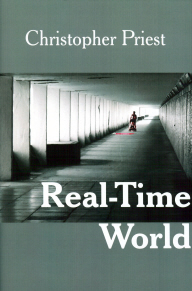 Thisis a re-issue of Christopher Priest’s first short story collection, Real-Time World. Originally a hardback from NEL in 1974, the book has been more or less unavailable ever since. As well as “The Head and the Hand”, the book includes the much-anthologized stories “Fire Storm”, “Real-Time World” and Priest’s first-published story “The Run”.